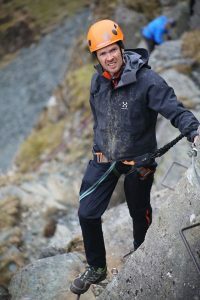 An Olympic silver medallist has swapped the fast-flowing water of the slalom for the heady heights of the Lake District fells, as he took on the challenge of the mighty Via Ferrata at Honister Slate Mine. 38 year old slalom canoer Campbell Walsh has previously competed in two Summer Olympics and is best known for winning the K-1 event in the 2004 Athens games. He is also a former European and World Cup champion in the event. The Scottish Olympic stopped off at Honister for an outdoor adventure in the Lakes, before jetting off to his current role as a trainer for the British Canoeing Team as they prepare for the upcoming Rio Olympics this August. 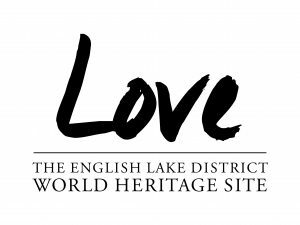 Taking on the Via Ferrata Xtreme, Campbell scaled a series of rungs, ladders and bridges along the old Victorian miner’s footpath up the side of Fleetwith Pike, before ‘skywalking’ across the daunting Infiniti Bridge, more than 2,000 feet above the valley floor.